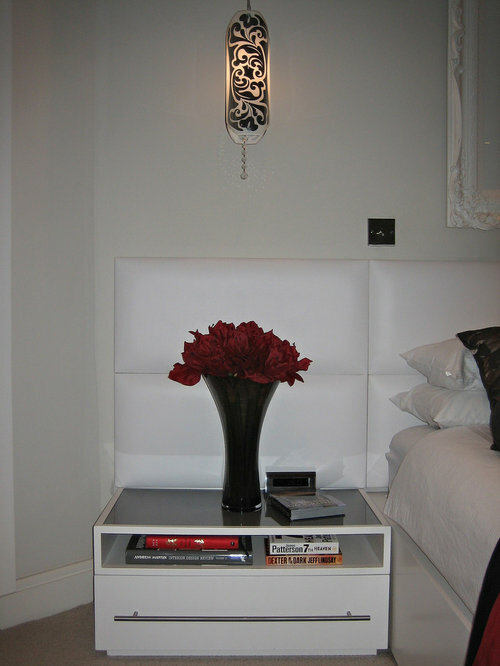 My brief was to design a statement, boutique style Master Bedroom, in a red, grey and white colour palette, with a mix of ornate and modern... an escape & retreat from my clients' their busy day-to-day lives. 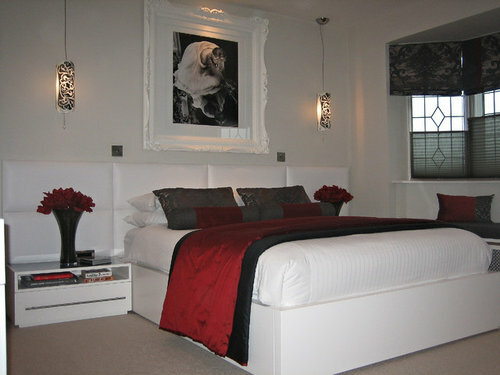 A dark red & damask grey fabrics were used as a juxtaposition to the clean modern white furniture and bespoke wall-to-wall white leather headboard, with a beautiful iconic black and white photograph in a white ornate frame hung in the prime position above their bed. 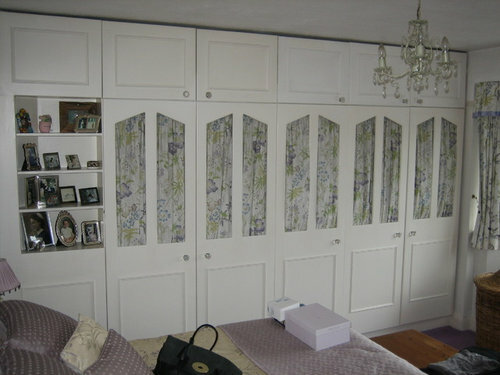 Smoked glass door wardrobes were installed to add both function and moody reflection to the whole wall opposite the bed and carved silver sheet pendants hung over each bedside table for mood lighting. Creating a luxurious, boutique hotel style Master Bedroom for my clients’ to retreat to and unwind at the end of every day. Where to place bed in dormer room ? 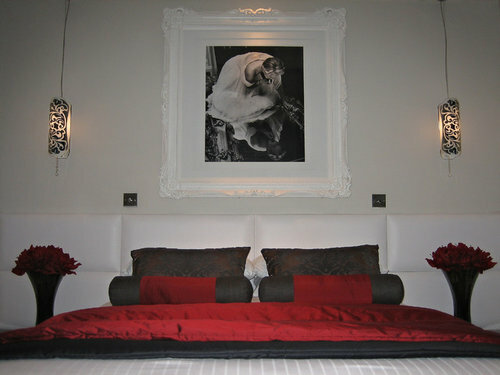 We do need a couple more pictures of your room to see other possibilities for you to place your bed. What you have above it is just far too small. I know you'll get a lot of suggestions to put a sunburst mirror above it. Either that, or a larger piece of art. Maybe two smaller (but still larger than the current one) next to each other. I have a dormer and have the bed opposite of the window. 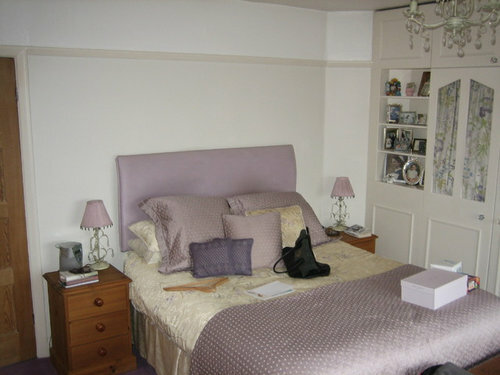 But our dormer is wider, so maybe in your case you won't have enough space to walk around the bed? If you post more photos, use the attach images button that appears when you click on a comment box under here.